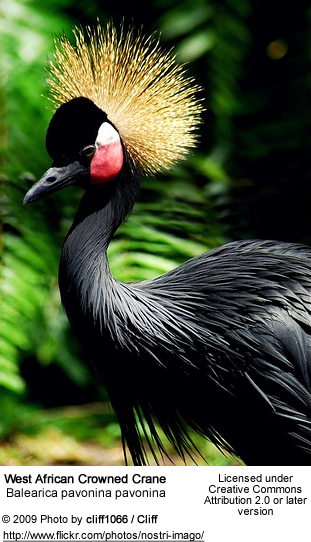 This species and the closely related Grey Crowned Crane, B. regulorum, which prefers wetter habitats for foraging, are the only cranes that can nest in trees. 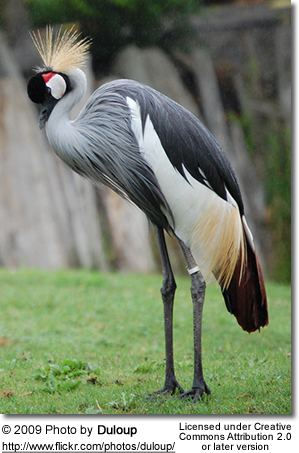 This habit, amongst other things, is a reason why the relatively small Balearica cranes are believed to closely resemble the ancestral members of the Gruidae. 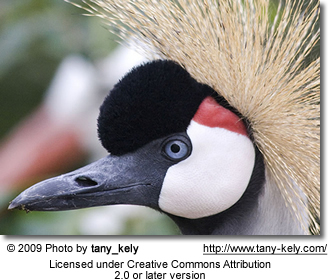 It occurs in dry savannah in Africa south of the Sahara, although in nests in somewhat wetter habitats. 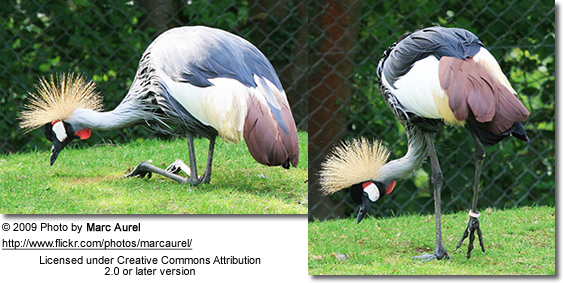 It is endangered, especially in the west, by habitat loss and degradation. 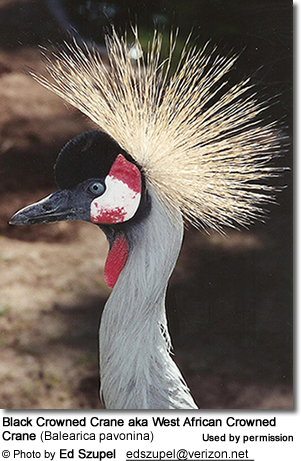 the more numerous B. p. ceciliae in east Africa. 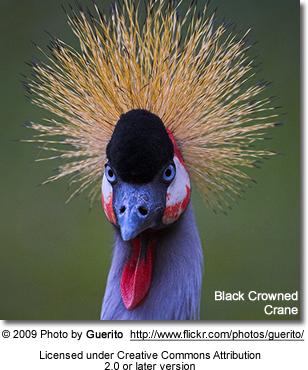 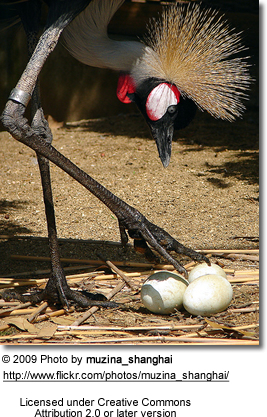 Like all cranes, the Black Crowned Crane eats insects, reptiles, and small mammals.